Legal videographer services now available at Lake-Cook Reporting. Starting in December 2014, Lake Cook Court Reporting and Videoconferencing began offering in-house legal videographers, making the video taping service available for clients who book a court reporter through our firm. 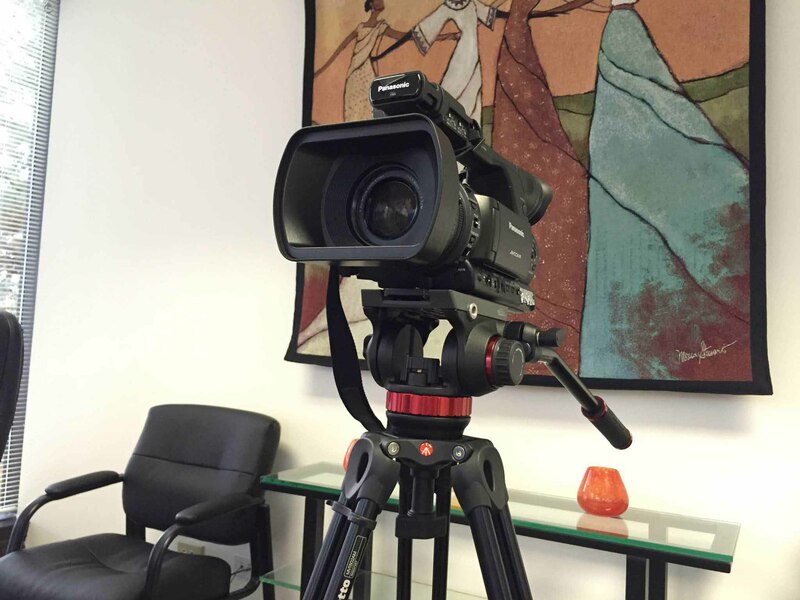 With legal videography services, our trained videographers can record depositions for your next case at our office, around the Chicago city and suburbs, or anywhere else. Our video equipment records high-definition video up to 1080p for a clear, crisp picture, along with high-quality audio. Our trained videographers follow the rules, regulations, and standards outlined by the NCRA. Book multiple services with us to save time and money. One call for our services takes care of court reporting services, room reservations, legal videographers, video conferencing, and more. After the deposition, you’ll receive the video copy and transcript from us in one bundle. While Lake-Cook Reporting offers everything clients have come to expect from a legal videographer, we also provide new services for a digital age. We record all video on digital formats, avoiding the risk of damage typically associated with older tape-based recordings.This also allows us to offer video hassle-free in digital formats. With our digital online file repository, clients can request video copies that can be downloaded from our website. Instead of having us mail out DVDs, we can send transcripts, exhibits and video electronically. Our digital recordings can be uploaded online straight from the camera, creating quick turnaround times that aren’t hampered by conversion time and extra fees. In-house legal video also gives us the ability to create super-transcripts for our clients. Transcripts can be bundled electronically with exhibits and video, creating an interactive transcript. Exhibits come up as links within the transcript, allowing clients to click links in the transcript mentioning exhibits and having those exhibits pop up. Video is also synchronized to the transcript, allowing users to follow the video line-by-line with the transcript or find specific video clips corresponding to lines in the transcript. Book with us today! Mention that you saw this blog post and we’ll give you a discount. Clients using our in-house video recording services for the first time will receive a 10 percent discount on our videography rates. Clients who use our super-transcript service with synchronized video for first time will receive 15 percent off the cost of a synced transcript. Call or email us today for rates and booking information.